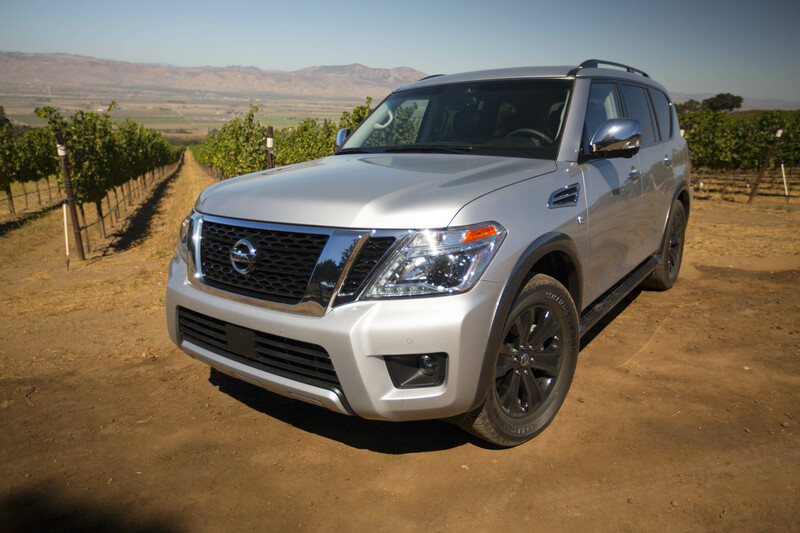 It is back, and it is still big - a rolling testament to its name, the 2017 Nissan Armada sport-utility vehicle. There is a vigorous debate over whether it is truly needed or wanted, which is why it disappeared for a year. But it has returned after many major, notable improvements. Let us assume it has a market. 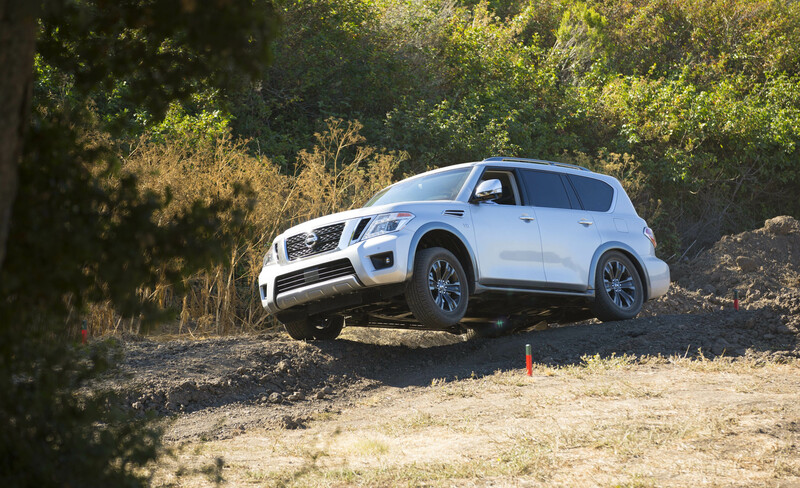 The original gargantuan Nissan Armada was based on the Nissan Titan full-size pickup truck, and it looked like it - a passenger van with a pickup truck body, cobbled together at a middle point for manufacturing convenience. It was big, awkward and ugly. The 2017 Armada - available in SL, SV and top Platinum trim levels - is prettier. 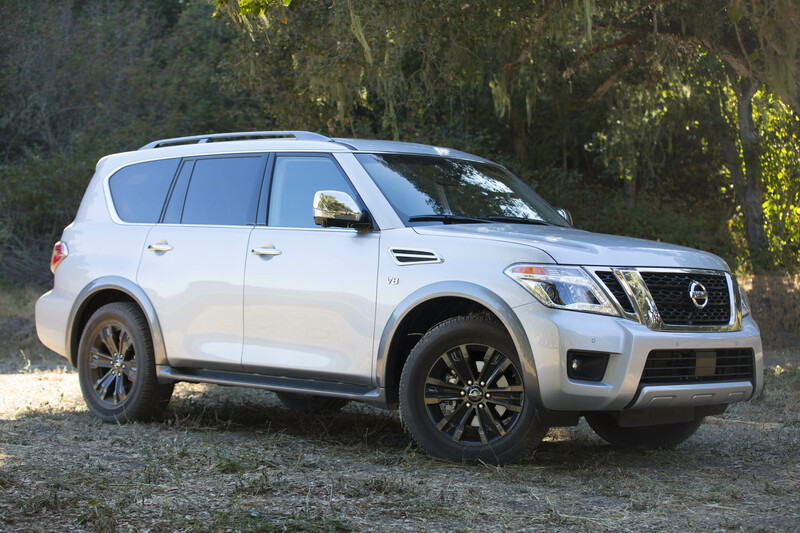 It is based on the Infiniti QX80, and it looks like it. The exterior has an appealing streamlined consistency. The interior is top-class, maybe over the top for something Nissan. But Nissan buyers might like that - an Infiniti interior for a Nissan price, which doesn't mean it is cheap or easily affordable. This land yacht - the Platinum four-wheel-drive edition used for this column - comes with a closing price of $60,995. SV and SL editions are in the mid-$40s and upper-$50s, depending on options chosen. Still, the argument remains: Where can you comfortably live with the Armada in anybody's city? The answer: not many places, certainly not comfortably, anyway. The seemingly always space-constrained garages in Chicago, the District of Columbia and New York City are eager to add a big SUV "acceptance" fee of $10 or more to the parking price of an Armada - new or old model. Either that, or they'll tell you they simply don't have the space to handle the thing. For these and other reasons, the Armada vacated the U.S. market for a year. Its hiatus sparked a rumor that similarly giant sport-utility vehicles were dead or dying. They weren't. They were just being forced into more sensible markets by the rise of more acceptable, city-friendly, wagon-like crossover-utility vehicles. Huge, fortresslike models such as the Armada still have a place in the nation's suburbs, exurbs, and other sprawling rural areas. Just keep them out of America's congested cities. Writing this column inevitably triggered thoughts of the national divide that characterized our recent presidential election. It has more to do with race or gender. It has much to do with cultural expectations. You probably won't buy an Armada if you are a New York City resident. But if you live in still-navigable rural Virginia, you're probably thinking: "Why not? My money, my right. I can buy what I want." But drive it where, and how easily for you and everyone else? There is no urban reverence for rides as large as the Armada. It can carry eight passengers; it can even do that job comfortably for those in the rear three seats. But how often do most of us carry eight people? The Armada Platinum can be equipped to tow up to 8,500 pounds, a task facilitated by its robust 5.6-liter V-8 gasoline engine (390 horsepower, 394 pound-feet of torque). The thing is thirsty, drinking a combined 16 miles per gallon of regular grade fuel in city-highway driving. But the engine is super-smooth and there remains a market for it, especially in those rural markets many of us chose to ignore in the last election. Bottom line: It is a big ride for people who have big expectations of how to use and where to park it. Ride, acceleration and handling: It is smooth and maneuverable on rural highways, and it is frustrating to deal with in congested city traffic. It is fast enough entering highways. Just keep in mind that you are taking up more road space than most other noncommercial motorists. Head-turning quotient: You can't miss it. Body style/layout: The aptly named Armada is a front-engine, truly full-sized sport-utility vehicle based on a truck chassis. It is available with rear-wheel or four-wheel-drive. There are three trim levels - base-grade SV, mid-grade SL and top-grade Platinum. Engine/transmission: It comes with a 5.6 liter 32-valve V-8 gasoline engine with variable-valve timing (390-horsepower, 394 pound-feet of torque). The engine is linked to a seven-speed automatic transmission. Capacities: Seating is for up to eight people. Cargo capacity with all seats in place is 16.5 cubic feet. Maximum cargo space is 95.4 cubic feet. 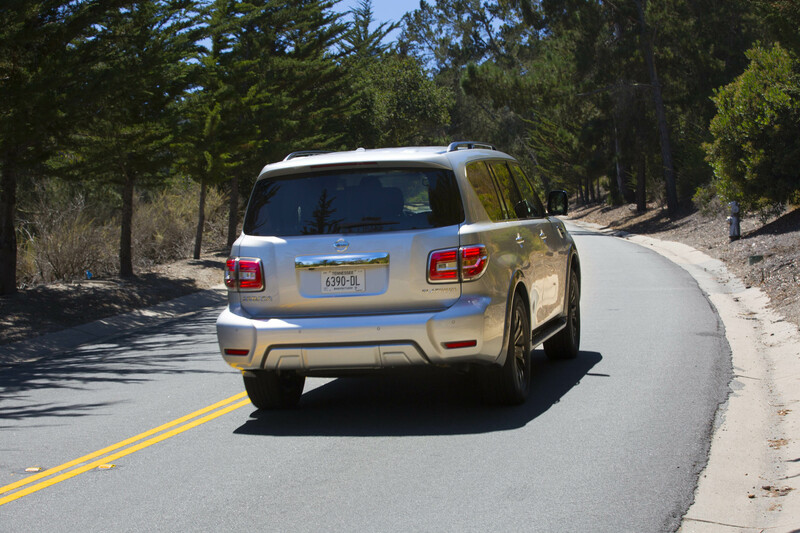 The Armada can be equipped to tow up to 8,500 pounds. The fuel tank holds 26 gallons of regular-grade gasoline. Real-world mileage: I averaged 15 miles per gallon in combined city-highway driving. Safety: Standard equipment includes front and rear ventilated disc brakes; four-wheel anti-lock braking; emergency braking assistance; stability and traction control; auto delay off headlamps; side and head air bags. A full suite of advanced electronic safety devices is available. Buy it.